CLICK FOR AUTHOR PHOTO, SPEAKER headshot, AND HI-RES BOOK COVER. author bio here. speaker bio here. For speaking inquiries or to book, please contact Tonia Cleland, tcleland@kepplerspeakers.com. Prefer old fashioned communication? 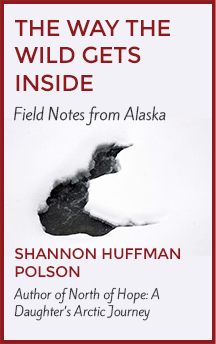 Send me an email at shannon@polsons.com (please be specific in your subject line), or drop a line at PO Box 727, Winthrop, WA 98862. You can also reach me at 509.996.8011, though email is best.